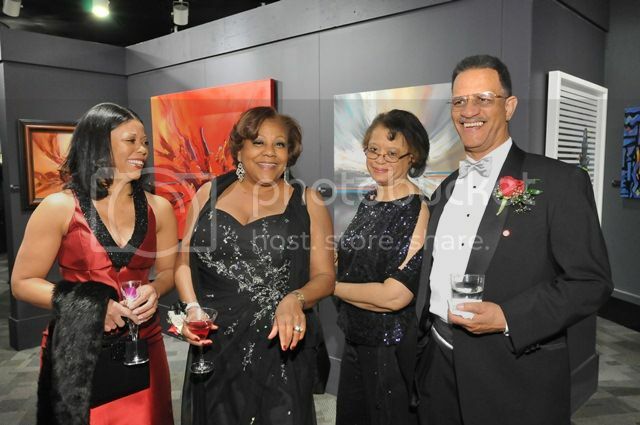 Anita Green (2nd from left), Programs Committee chair for the 2012 Black Creativity Gala with guests Alicia Carroll, and Sandra and James Foster. 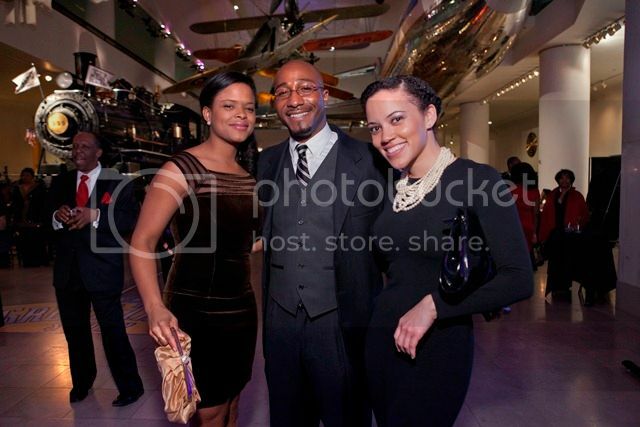 CHICAGO - On Saturday, January 28, 2012, the Museum of Science and Industry, Chicago (MSI) hosted its 29th annual Black Creativity Gala with nearly 800 guests. 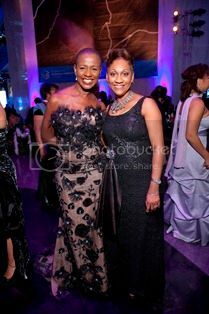 The gala, planned in collaboration with a committee of prominent Chicago African-American leaders, raised more than $475,000 to support the annual Black Creativity program, which pays tribute to the culture, heritage and science contributions of African Americans. 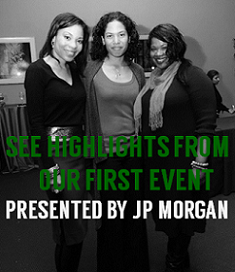 At 6:30 p.m., guests enjoyed cocktails, heavy hors d’oeuvres and the chance to view the annual Black Creativity juried art exhibition, featuring more than 100 original works of art from African American artists. At 7:30 p.m., guests adjourned to the Museum’s Central Pavilion and Rotunda for dinner catered by Sodexo. Keeping in tune with the evening’s Harlem Renaissance theme—a period of heightened African-American energy and culture during the 1920s and ‘30s—guests feasted on a lavish strolling buffet with seven stations decorated in black, silver and red. The buffet’s stations, with floral accents by Kehoe Designs, featured an array of food with global influences, including “The Great Migration” station, which showcased food with Caribbean ties such as coconut-crusted Mahi Mahi, plantain and black bean empanadas and Caribbean paella. Other delectable buffet items included peppercorn-crusted Chateaubriand, Peking duck breast with Mandarin pancakes, and fried oysters served on the half-shell. Dessert station “Late Night at the Apollo” offered Bananas Foster flambee with praline ice cream and a selection of cakes. 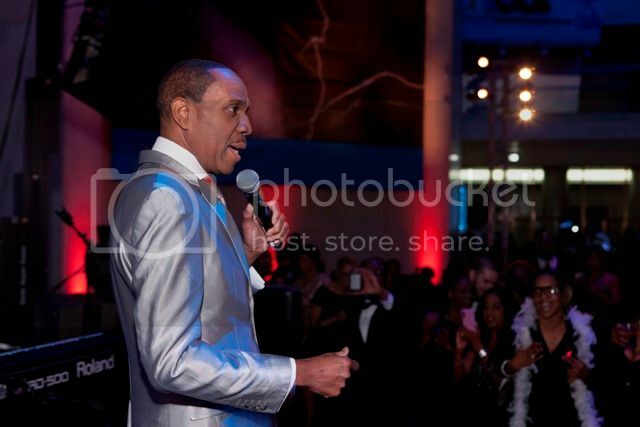 NBC5’s Marion Brooks emceed the evening’s program and introduced the musical entertainment: Maurice Mahon and the New Face of Soul; the evening’s featured entertainer, Grammy®-nominated artist Freddie Jackson, noted for songs “You Are My Lady” and “Rock Me Tonight”; and DJ Lil’ John. 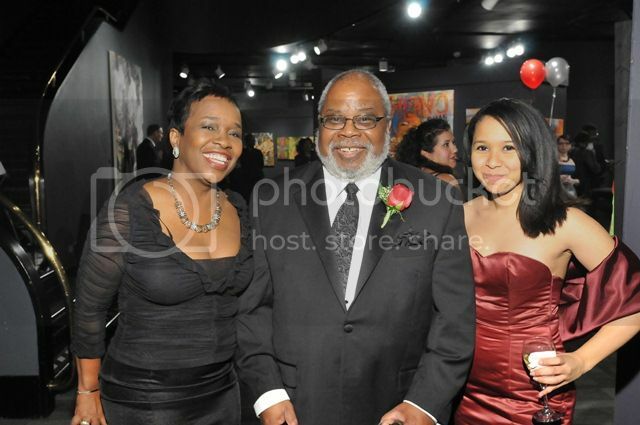 Frank Clark, featured in the Black Creativity art exhibit and NBC5's Marion Brooks; Shari Runner, Chicago Urban League and Gale Foster Farley, Event Chair. 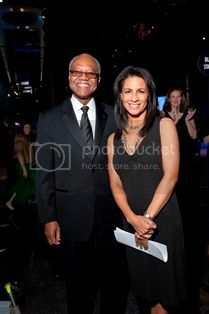 Throughout the evening, guests experienced the 2012 Black Creativity exhibit, Powerful: African Americans in Energy, which explores America’s energy future and different energy sources with an interactive miniature golf experience that appeals to all ages. Guests can “putt” their way through a diverse landscape of “energy lands” representing oil, natural gas, wind, solar, hydropower and more, and learn the pros and cons of each resource. Throughout the exhibit, prominent African-American professionals in the energy field are profiled to showcase the various careers available in the sciences. 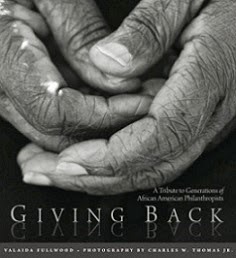 The exhibit runs at the Museum from Jan. 25 – April 15, 2012 and is free with general admission. A committee of prominent Chicagoans, chaired this year by Gale Foster Farley, teamed with the Museum to plan this year’s gala. Shari Runner, senior vice president for strategy and community development at the Chicago Urban League, chaired this year’s Black Creativity executive committee and council; Anita Green, president of Anita Green Relocation Management, chaired the programs committee; and Gregory T. Hinton, chief diversity officer for the Democratic National Committee, chaired the fundraising committee. 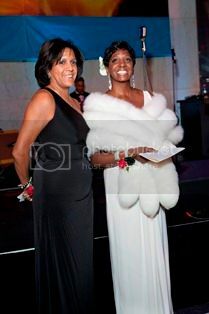 Black Creativity 2012 was sponsored by Allstate, ComEd, Fifth Third Bank, ITW, Peoples Gas and US Cellular with media partners NBC5, the Chicago Defender, Clear Channel, WGCI (107.5 FM), WVAZ (103 FM), WGRB (1390 AM) and WLFM (87.7 FM). The Black Creativity 2012 exhibit, Powerful: African Americans in Energy is now open at the museum and runs through April 15, 2012. 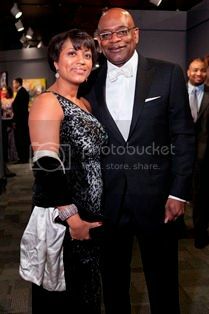 For more event coverage of the 2012 Black Creativity Gala, visit Social Life Chicago here. The Museum of Science and Industry, Chicago offers thousands of fun, interactive exhibits and one-of-a-kind, world-class experiences to inspire the inventive genius in everyone. Through its Center for the Advancement of Science Education, MSI also aspires to a larger vision: to inspire and motivate children to achieve their full potential in science, technology, medicine and engineering. Come visit and find your inspiration! MSI is open every day except December 25, and regular hours are 9:30 a.m. to 4 p.m. every day; free days are offered every Wednesday in February. The Museum is supported in part through the generosity of the people of Chicago through the Chicago Park District. For more information, find MSI online at msichicago.org or call (773) 684-1414 or (800) GO-TO-MSI outside of the Chicago area.